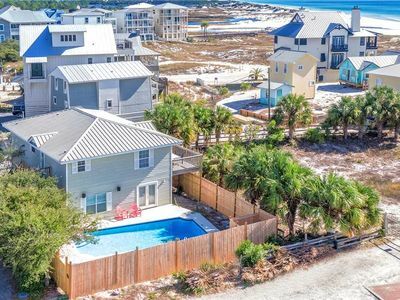 'my blue heaven' is a beautiful, family-friendly, spacious handicapped accessible 3br/3ba condominium overlooking blue mountain beach, located just off highway 30a in santa rosa, florida. 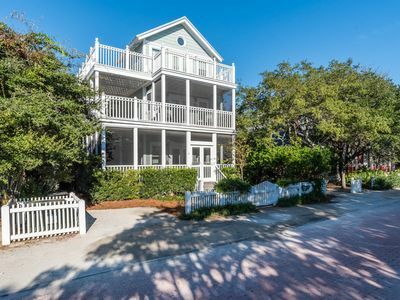 We are located five minutes from seaside, watercolor, and grayton beach, 20 minutes from destin, and approximately 30-40 minutes from panama city. 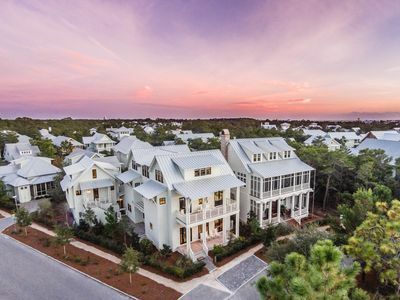 So, if you're looking for peace and serenity, golfing, shopping, deep sea fishing, para sailing, just relaxing on the beach, or all of the above, 'my blue heaven' is conveniently located to give you the best that the emerald coast offers. 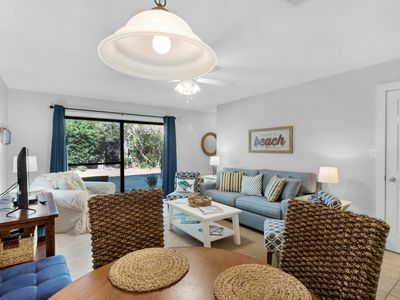 'my blue heaven' is not your typical Florida beach condo. 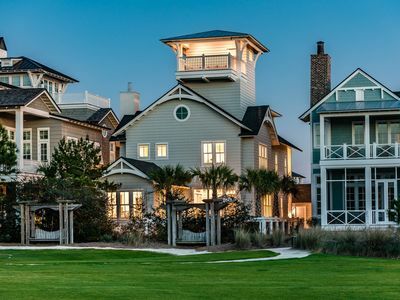 Blue lupine (formerly the inn at blue mountain) is a secured-access community located on an extremely quiet stretch of blue mountain beach, surrounded by large, private homes. Whether your vacation is a family getaway, a private week for two, a mom-cation or a man-cation, 'my blue heaven' awaits you as the backdrop to incredible vacation memories for years to come. 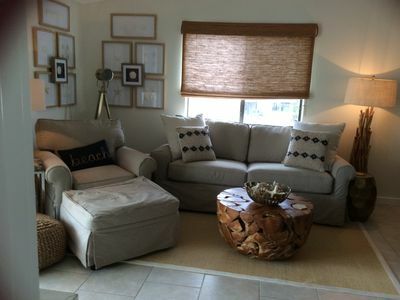 And, 'my blue heaven' isn't just a condo at blue lupine, it is THE condo. 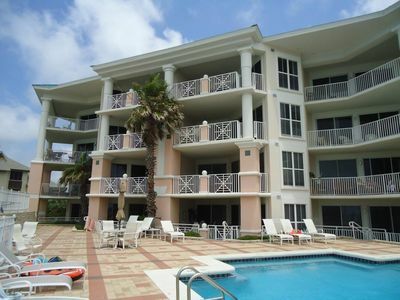 #413 is the end unit on the top floor in these condos. 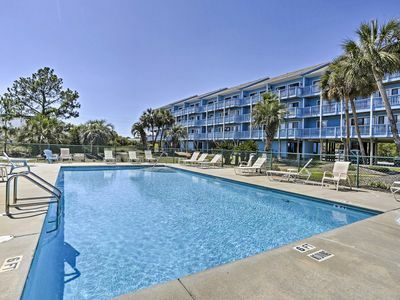 While several condos allow some view of the beach and the gulf, 'my blue heaven' provides tremendous open and clear view of both, as well as, the perfect view of the pool/hot tub area. Check out the photos! 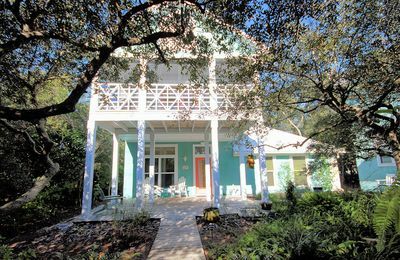 'my blue heaven' is nearly 1600 square feet of open airy Florida experience. 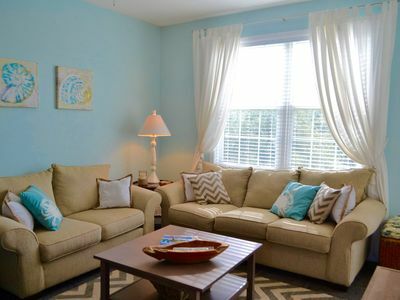 With three full bedrooms, our condo sleeps six in the beds and one sleeper sofa increases your capacity to 8. 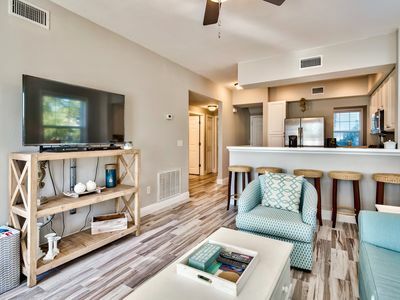 * the master bedroom features a king bed, ceiling fan, your own television, private balcony, and a spacious, handicapped accessible private bathroom with jacuzzi tub and walk-in shower. * bedroom two holds a queen sized bed, a ceiling fan, and also has it's own television and private bathroom with tub and shower. 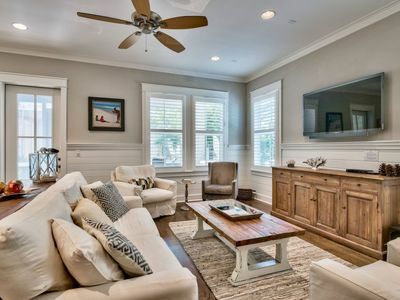 * bedroom three is perfect for the kiddies with two twin beds, a ceiling fan, a television, and a private bathroom with tub and shower. * kitchen comes well stocked with pots, pans, utensils, dish washer, coffee pot, etc. To help you prepare meals. 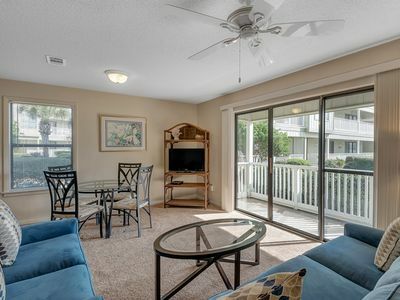 * washer and dryer in the condo to help you keep everything clean. * beach chairs and umbrellas are available for rent on the beach in the summer. Blue lupine features a fitness center with 3 treadmills, 2 elliptical machines, a stationary bike, multi-station weight machines and free weights. Covered parking for one of your vehicles is included with gated access and outside parking for additional vehicles. Morning Star - Old Florida Beach! Stunning Views! Private & Community Pool! 4 Bedroom/4.5 Bath Beautiful Interior Perfect For 2 Families!!! 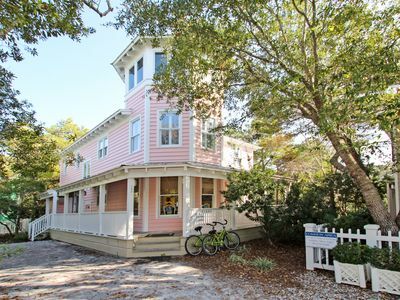 EXQUISITE WATERCOLOR CARRIAGE HOUSE! 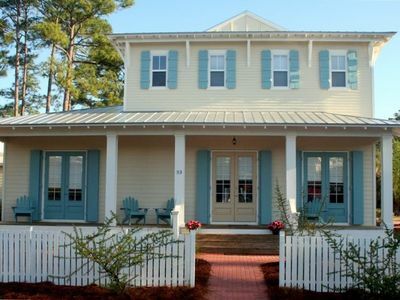 SLEEPS 2-4--COME TO THE BEACH & ENJOY 30A!! 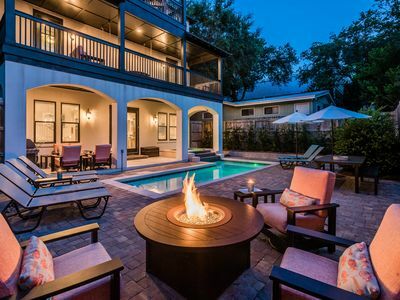 Private Heated Pool, 6 Seater Golf Cart, Carriage House! 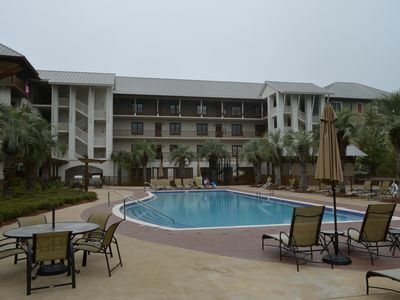 Poolside and close to tennis courts! 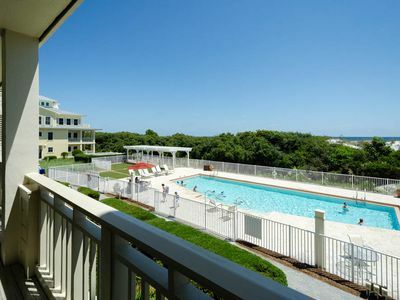 Renovated Seagrove Beach Studio w/ Heated Pool! 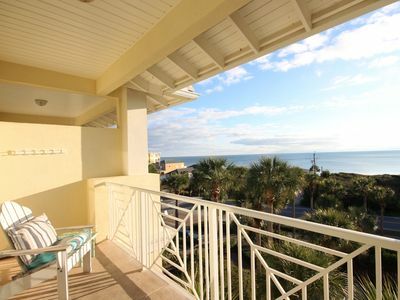 Gulf Views! Private Heated Pool! Golf Cart! 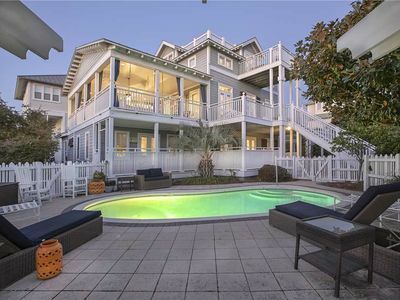 Steps from the Beach! 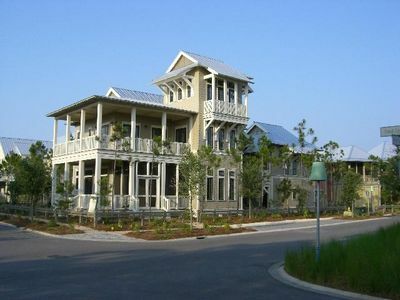 Piper's Landing - 2 BR /1.5 BA in Cassine Gardens on 30A. Close to Seaside!